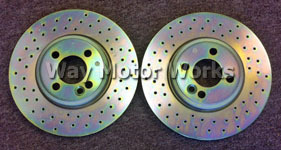 MINI Cooper and Cooper S Brakes for all year MINI. These include Brake Pads, Brake Rotors, Pad Sensors, Rotor Bolts, Seals, Big Brake kits, Stainless Steel lines, Brake Ducts, Brake Fluid, and Brake Bushings. 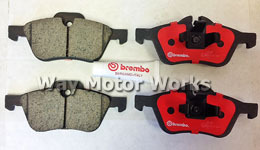 Brands of MINI brake parts WMW sells include EBC, Ate, Carbotech, Brembo, Hawk, Goodridge, OEM MINI, John Cooper Works, Akebono, NM Engineering, Wilwood, Zimmerman, and Motul.